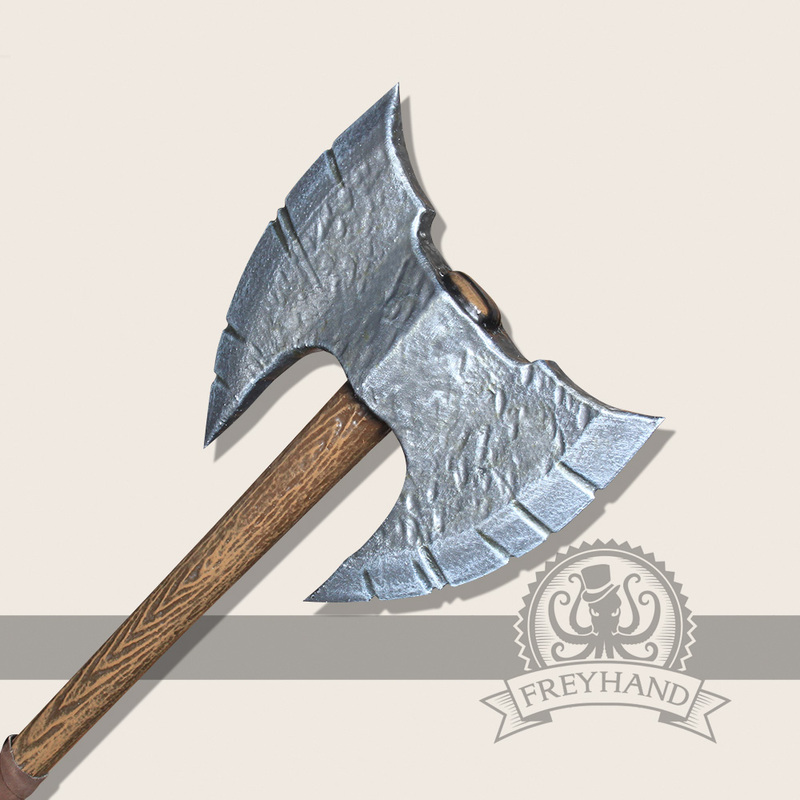 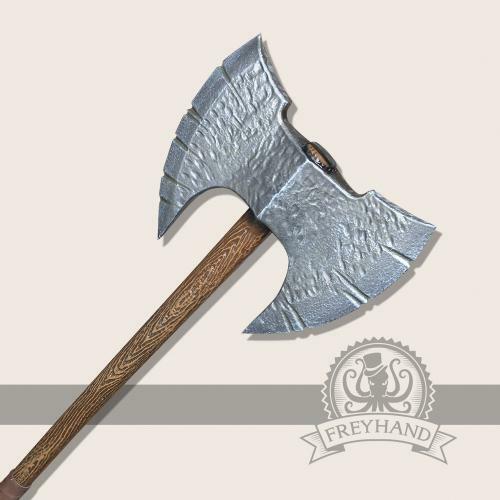 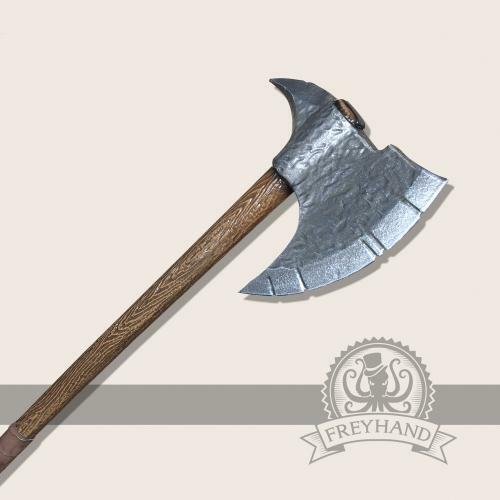 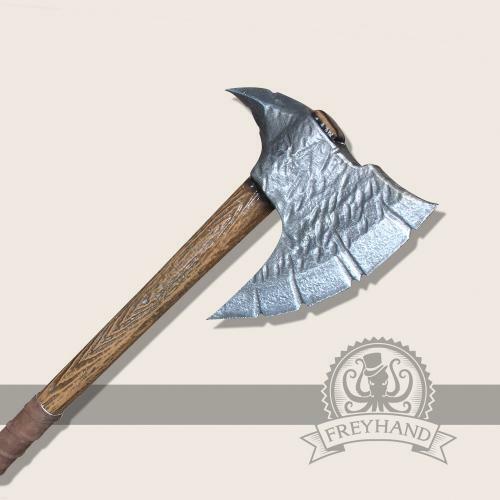 A fat short axe for the rather chunky type of guys as for example, orcs, dwarfs, Barbarians or beastmen. You can combine it quite well with a round shield. 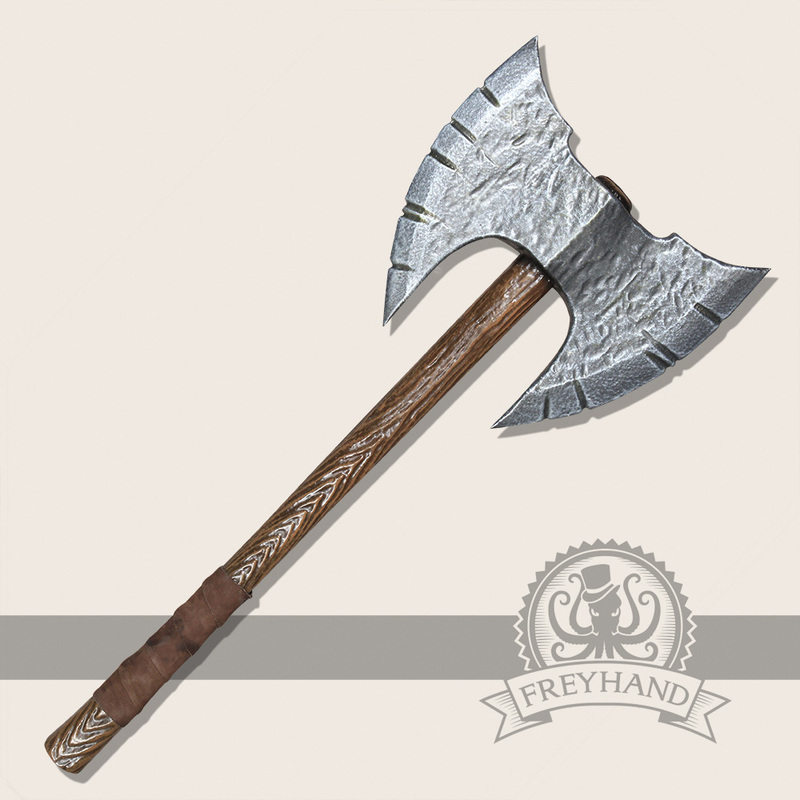 Big, broad figures can even carry it as a secondary weapon at their belts.